Learn Welsh - Want to learn how to speak the Welsh language? Want to learn how to speak the Welsh language? Learn how to speak the Welsh language from online lessons and sites for Welsh beginners and all levels. We have put together a useful resource of books and cds that will help you learn the Welsh language. We also have links to a Welsh dictionary (geiriadur) enabling you to translate from English to Welsh and Welsh to English. Podlediadau Cymraeg mewn un lle - Welsh Podcasts all in one place. Interactive video course for learning Welsh. Learn Welsh with BBC Wales. 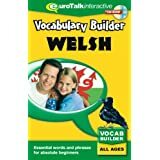 Online dictionary, spellchecker, txt messages, lessons, activities, audio and video clips to help you learn Welsh - wherever you are. Catchphrase offers free downloadable audio and text learning so you can learn offline too. Learning Welsh at work, with BBC Wales. Online 3D environments and video scenarios help you learn and practice your Welsh. Essential information for your area, as well as help pronouncing the everyday Welsh you'll see around you. The on-line Welsh - English English - Welsh dictionary from the Welsh Department, University of Wales, Lampeter. Information about Learning Welsh - Gwybodaeth am ddysgu Cymraeg.